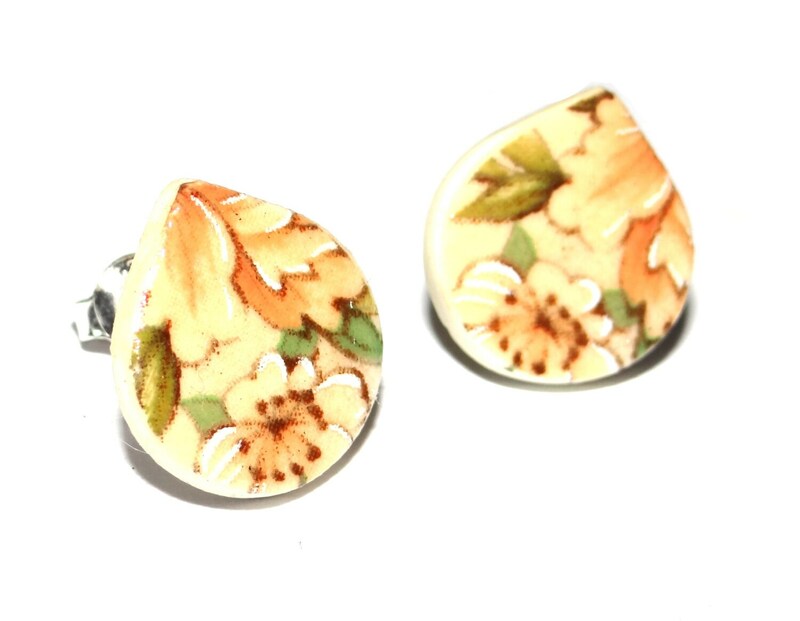 Handmade ceramic and sterling silver studs. The studs are handmade by myself using stoneware clay, high fire glaze and colourful decals. The studs are fired in a kiln three times before having sterling silver studs attached to the back with a strong glue. Very pretty little studs! They measure approx 16-17mm in size.